Ayahuasca Ceremony is the name that is currently used to name an ancestral practice of the original peoples of the Amazon. It is a ritual practice performed by the healers or shamans of the Amazon rainforest, this practice extends throughout an extensive territory of the Amazon, and it is part of the traditional medicine of various peoples or ethnic groups. Formerly the use of Ayahuasca medicine was not a ceremony itself, the name ceremony is a modern denomination that is used to designate an ancestral practice. The different original peoples of the jungle have always practiced various rituals as part of their culture, rituals related to mythological beliefs, rituals of passage towards adulthood, rituals to go to war or to go out hunting, and rituals to heal from diseases, which usually have been and are seen as a product of magic, spell, evil, envy and revenge. In these rituals, various psychoactive plants which are considered medicinal plants, power plants, and in some cases, sacred plants were generally used and continue to be used. The plants were often ingredients of certain concoctions that had certain purposes. Among these concoctions is the Ayahuasca, which according to each ethnic group, acquires different names in each language. The name Ayahuasca comes from the Quechua language, and it is surely the name that this brew acquired in the time of the Inca civilization, and it is the name with which most of people from all over the world know this brew. During the last century, the use of ayahuasca expanded beyond the limits of the ancestral Amazonian culture, and was integrated into various practices, including as a sacrament of certain syncretic churches in Brazil. During the last three decades, the use of this ancestral brew is increasingly known. And its use is subject to anthropological, botanical, chemical, psychiatric, neurological and psychological research. During the last decade tens or hundreds of retreat centers have been created where the brew is used for esoteric, alchemical, spiritual and therapeutic purposes. Nowadays the use of ayahuasca is generally known as ayahuasca ceremony, ayahuasca ritual or ayahuasca session. Ayahuasca therapy is a technique that emerged in recent years as part of the integration between the ancestral wisdom of the peoples of the Amazon and methodologies from different contemporary psychological approaches, especially humanistic, existential and transpersonal psychotherapy, and Psychedelic Therapy. Since the beginning of our work in our Ayahuasca Retreat Center, it has always been our interest to contribute to the development of a method that allows or facilitates this integration. In our practice we use the name ayahuasca ceremony and ayahuasca session, although this last name is more appropriate for scientific research purposes. We consider that Ayahuasca constitutes a fundamental aspect in Ayahuasca Therapy, it is the nucleus or key element of the therapy. We have been integrating, little by little, the use of ayahuasca to a humanistic and existential therapeutic methodology where it is considered that the knowledge of the spiritual dimension is determinant to carry out a deep exploration of the psychic world. Our intention is to be able to use this traditional Amazonian knowledge as a tool to heal the body, mind and soul; to help people suffering from psychological and emotional disorders and perhaps, most importantly, to support people who are in a process of development of consciousness and integral development of their being. The ayahuasca ceremonies are part of the Ayahuasca Retreats that we organize every month. 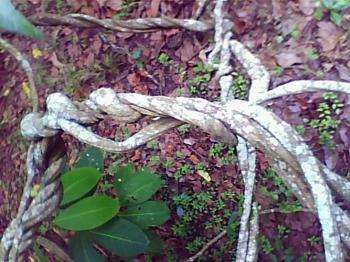 The Ayahuasca retreats include two or three Ayahuasca sessions. And no more than six people participate in the sessions. This is a key decision in the success of our therapy, since in this way it is really possible to support each person in the integration process of the experience, which must be done personally. The ayahuasca ceremony is a ritual or a session where it is possible to experience a non-ordinary state of consciousness which allows us to connect with our inner wisdom, and experience a process of self-healing and self-knowledge. In addition, the experience in an Ayahuasca Therapy, often facilitates living an intense catharsis or deep process of purging or purification, which allows to release emotional, psychological and spiritual blocks. An experience in an Ayahuasca ceremony opens up the possibility of exploring the spiritual dimension, the depths of the soul, and unknown dimensions of the psychic world. Sometimes it is possible to live a numinous, ecstatic or mystical experience. The ayahuasca ceremony is a ritual process that allows us to pass from one stage of consciousness to another stage, and being able to experience this process gives us the possibility of making some changes in our life perspectives. How is the Ayahuasca ceremony? We organize our Ayahuasca ceremonies with small groups of people, a maximum of 6 people. The sessions are during the night and in our house, in the Sacred Valley of the Incas, in Cusco, Peru. The sessions are guided by Nilda and Erik. It is a ritual process and at the same time they constitute a therapeutic technique. At the beginning of the ceremony, the Ayahuasca medicine that is given by the ceremony guide is drunk. The participants are seated in the ceremony room, in a circle and everyone drinks the concoction, one by one. Then it is necessary to wait for a period of time, approximately 30 minutes until the effects of the medicine begin to be felt. Sometimes it is necessary to drink a second cup of medicine, since not all people feel medicine in the same way, it is different for everyone, and all experiences are also different. The Ayahuasca experience is divided into two parts, the first part is the ayahuasca ceremony itself, which lasts between 2 and 3 hours. During this part of the experience, all the participants, who are taking part in the process, stay together in the ceremony temple, and there, the guides of the ceremony are able to support to the participants, using different techniques to guide to the participants in the process. They keep the ceremonial space safe and help people with their process of purging and with the psychic exploration. In the second part of the experience, participants are invited to go to their rooms to continue working with ayahuasca medicine in a more personal way. The practice has shown that working with ayahuasca medicine inside the ceremony, is not the same than being being alone in the ayahuasca experience. There are people who can not experience the power of ayahuasca medicine when they are in the ceremony with other people. We have observed that the process with ayahuasca medicine becomes more dynamic in an experience that includes the ritual work within the ceremony and the psychonautical work being alone during the experience. While the person is in their room, the process guides remain attentive, participants can request assistance at any time throughout the night. One of the most important tools used in the ayahuasca ceremonies are the ICAROS or songs of the ayahuasca. Some of the songs are part of the techniques that we use constantly and that have been learned over the years in the use of ayahuasca. Although some of the songs are part of the same ceremony, they arise in the ceremony and are not repeated again in other sessions. Through ICAROS it is possible to help people in ceremonies, it is a very important healing tool. During the Ayahuasca ceremony, other knowledges are also used to guide the sessions, channeling the energy of ayahuasca and cleaning at different levels.